Following a political debate about the conditions for outstanding and world-leading research in Norway, the Norwegian Academy of Science and Letters founded the Centre for Advanced Study (CAS) on March 2, 1989. Outstanding scholars in Norway now had the chance to gather their “dream team” from all over the world in Drammensveien 78, and pursue their research. By providing a sheltered environment, free from teaching and administrative tasks, CAS has furthered excellent, fundamental, curiosity-driven research for 30 years. We talked with two of the initiators behind the establishment of CAS, Gudmund Hernes and Dagfinn Kåre Føllesdal. Why did you take the initiative to establish a Centre for Advanced Study? Hernes: Ever since I was a graduate student at Johns Hopkins University, I had both observed and experienced the potency of a research environment untrammeled by the daily chores and distractions that detract from focused academic research. Johns Hopkins provided the opportunities for investing long periods of time on challenging problems, and with a closely-knit community of scholars that could provide both inspiration, help and support. It inspired pursuing new ideas and sustained you if you were stuck. I learned something more: That Hopkins was the first university established as a graduate school in 1876, under the leadership of its first president, Daniel Coit Guilman, which became the model for all like it, i.e., the model for the modern research university. I later learned that it also became a model for a medical school based on research, which later had a profound influence on medical training in the U.S.
A key figure here was Abraham Flexner. He was also the inspirator behind the establishment of the first Institute for Advanced Study at Princeton, in 1930. It became the inspiration for similar establishments, notably The Center for Advanced Study in the Behavioral Sciences at Stanford. 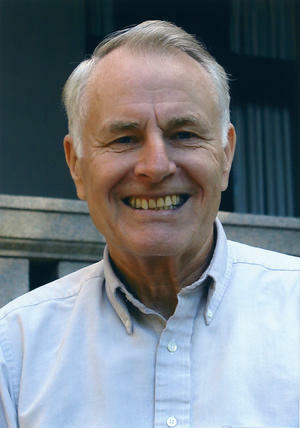 Several of my mentors, such as James S. Coleman, had spent a year there. I was provided the same opportunity in 1974/75, which, after graduate school, became the most productive year in my academic career. The point is this: I knew, from both reading and from personal experience, what kind of environment is most conducive to groundbreaking academic work. So, when I became the chair of a royal commission on higher education and research in Norway in 1987/88, the establishment of a Center for Advanced Study was among the proposals put forward (“Med viten og vilje,” NOU 1988: 28). A year later, I became Minister of Education and Research, and could implement that proposal. If we should have a Center for Advanced Study in Norway, we should not invite separate individuals, but groups of people who were working together on the same or very closely related topics. Two years later, in November 1990, Gudmund Hernes became Minister of Research and Education, and I was asked to take over as head of CAS. From the very beginning it was clear that we wanted to be located in the building of the Academy. The building is protected, and the Director for Cultural Heritage would not let us install regular windows, roof window was all that was permitted. The old play room, which is now our meeting room, also had to be left unchanged. A good part of our planning therefore went into getting enough attractive offices to provide each member of every group a pleasant and bright office that would make them spend their time in the offices rather than working at home or somewhere else. After all, the main point of CAS should be just this: to make all the invitees active members of a group. With the help of an excellent architect, an efficient consultant and generous donations, the whole project was completed in the late spring of 1992. How has the environment for excellent, fundamental, curiosity-driven research changed in those 30 years? Hernes: There is more funding for research than at any time before in human history, and more researchers than ever before. However, the application for funds has become very bureaucratized. Consequently, scholars are diverted from research itself. Put sharply: the administration of research hampers curiosity driven research. Hence, centers for advanced study become more important. Føllesdal: There is now far more economic support for research available than thirty years ago, both through national sources, in particular the Norwegian Research Council, and through European sources. In particular, the grants for Centers of Excellence have contributed greatly to improving the situation. What are the biggest challenges in today's research environment? Hernes: I believe what I just stated: the bureaucratization of the application processes and the administration of research steals time and focus. Føllesdal: The greatest challenge in the Norwegian research environment is in my view the lack of a good and broad research education, similar to what is offered by the best universities in the USA. A plan of cooperation between Norwegian universities in 1970 was supposed to offer strong research education programs in all the major fields of the humanities, social sciences, theology and law, but was never carried out. What are your hopes for the future of CAS? Føllesdal: I hope that CAS can continue in the same way as it has done since it started. Its task is not to give research education. For that purpose, one year is too little, and the researchers who come to CAS already have a well-defined joint research project, or at least joint research field, when they come here. 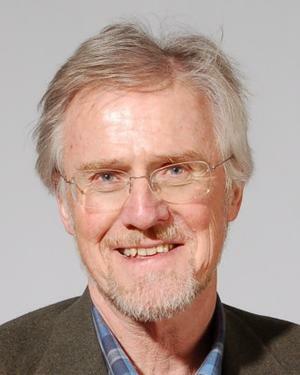 Dagfinn Føllesdal, you led your own research project at CAS in 1995/96 titled Ethics – A Just Society. Can you briefly tell us what the project was about? As the title of the project indicates, it was devoted to the ethical issues connected with social justice and the implications these have for the organization of a just society. Rawls was a central figure in this field. He could not himself come to CAS. In 1995, he suffered the first of several strokes, severely impeding his ability to travel and work. Nevertheless, both our CAS project and the ethics program had participants who had worked with him, and who contributed much to ethics and in particular the question of a just society. What do you remember best from your year as a group leader? I remember best the cooperation and conversations, especially when some of the participants proposed ideas that turned out to be very clarifying and fruitful. Friendships that were strengthened or created during that year have led to lasting and valuable cooperation between several of the participants. How did your project and research develop after CAS? The project has been particularly important for my attempt to base ethics on empathy. What advice do you have for future CAS leaders? CAS has received generous economic support through thirty years, and both the board of CAS and the group leaders should do their best to get a maximum of good research out of this support: the board by selecting very good groups, and the group leaders by creating an atmosphere that stimulates active cooperation between all the members of their group. Thanks for my stays at CAS!